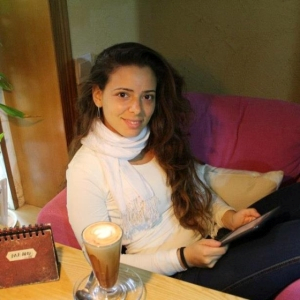 Giulia: Project consultant in Singapore. 2. What was your favourite OCEANS event? The workshop in Vilnius! Beautiful city, great event and...OCEANS members are the best! 3. How do you spend your weekends? Each weekend a new activity! Wakeboarding, travelling, cycling, jogging, surfing...anything new. 4. Tell me one thing that your colleagues would be surprised to hear about you. They don't know that I do Couchsurfing... New Delhi, NY, Jaipur, Cancún, Paris, Singapore... I meet great people through CS, but they would think that I am crazy to sleep at the house of people I never met. 5. Tell me about the most memorable OCEANS member you’ve met. Alin (Horj): he is smart, he never gives up and he is a GREAT friend! He is amazing on how he can pursue his goals, no matter what! Exploring: the world, new topics, new people, anything! 8. What is your greatest regret? 10: What is your current state of mind? My teddy bear, he travels with me wherever I go! 12. Where would you want your dream home to be? I don't want a house, I want to keep living my expat life and travel all the world! 13. Who are your favourite writers? English: Amelie Nothomb, she knows how to grab the readers' attention. Italian: Luigi Pirandello: his book "uno, nessuno, centomila" explains how the world can depend on people's points of view! I like ALL kinds of music, it varies with my mood! 15. What is your mantra in life?